This book was unusual, to say the least. 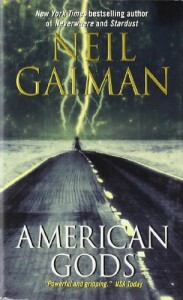 I liked it OK, but I'm not sure that I will read anything else by Gaiman. There was so much in here and so many things that were just all over the place. One thing that wasn't here was a lot of closure. Sorry Neil, but I will not be recommending this to anyone.